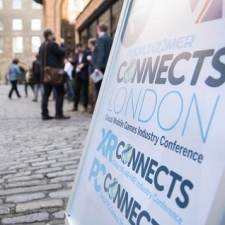 Last week saw XR Connects return to London bigger and better than ever, with more than 50 speakers across two days talking about everything from wearable AR and immersive eSports to what Sony wants for PS VR and the future of XR platforms. 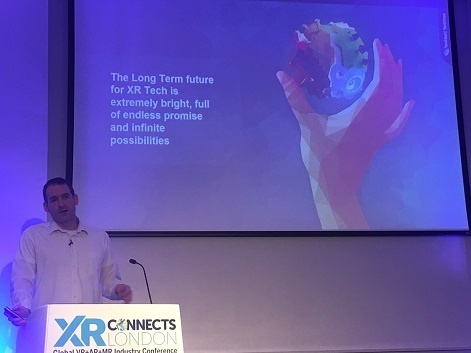 1) Opening XR Connects London this year, Simon Benson, co-founder at Realised Realities explained that while domain knowledge easily transfers between Augmented Reality and Virtual Reality, AR will be similar to the way we use smartphones throughout the day for bite-sized usage, where VR will be more like how we might set aside an hour-and-a-half to use a PC. AR glasses need to be lighter and look better before the public will adopt them, which gives developers time to develop content. 2) The founding member of the PlayStation VR project went on to forecast that XR will bring with it an experience revolution that will be every bit as, well… revolutionary, as the industrial revolution and the information revolution before it. He anticipates that for enterprise, collaborating in VR will become more productive than in real life very quickly saying, “It will become a common way to work”. 3) Augmented Reality may have arrived on our smartphones, but the medium will come to life with wearables. Although Benson doesn’t believe the hardware is ready for the general public, that isn’t necessarily a bad thing, as it gives software time to establish itself. He said, “AR glasses need to be lighter and look better before the public will adopt them, which gives developers time to develop compelling content so there will be a library by the time the hardware is ready”. 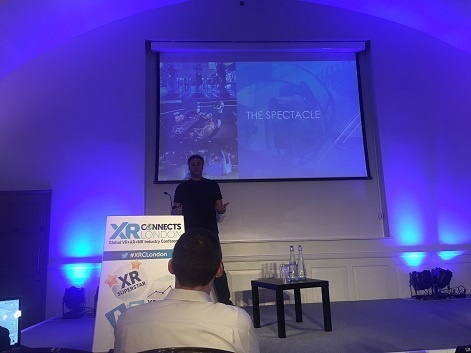 XR Connects returns to San Francisco on the 14th and 15th May for another two days of expert insight, networking and indie pitches. Book your ticket now! 4) Speaking about how to survive as a VR/AR start-up in 2018, Sami Hamid, Virtual Reality Lab Director at Glitch Studios cautioned that, “There isn’t going to be any exponential growth anytime soon”. His advice for XR start-ups is that, “If you insist on being consumer focused, mobile VR is where it’s at”. If you insist on being consumer focused, mobile VR is where it’s at. 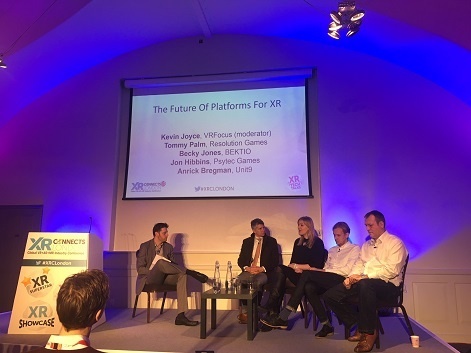 5) Hamid suggested that for indie XR devs, “Focusing on b2b apps will see you throughout”, especially in concert with high visibility projects such as Glitch Studios’ work with the Red Cross, which raised the developers’ profile, despite not being a massive revenue driver in its own right. 6) The director also had some interesting advice for staffing solutions that may seem counter-intuitive. His advice is to, “Hire talent as your differentiating factor rather than freelance, even though that seems the more cost-effective strategy”. 7) Although he’s an impassioned advocate of immersive media, Jan Wagner, co-founder at Black Cell believes the XR industry needs to move on from the first blush of love to build a lasting relationship. As he put it, “We keep being infatuated with being in VR [but] there isn’t a lot of substance to a lot of the VR games”. 8) Speaking about slow user adoption of Virtual Reality, Black Cell’s Jan Wagner believes the industry needs to create more content that is only available in VR and fewer wave shooters. He said, “We can’t blame the public for not finding our merchandise attractive; we need to work on that merchandise to make it more attractive". 9) VR and eSports are a perfect match, according to nDreams CEO, Patrick O’Luanaigh, who proposed audience involvement via interactive spectating with users able to trigger hunger games drops or choose music. He believes that spectating from inside the game will add a heightened sense of emotion. O’Luanaigh also noted that as a “mix of athletes and players”, VR players are more entertaining to watch than someone using a keyboard and mouse. 10) The CEO also observed that with the advent of standalone headsets like Vive Pro and Oculus Santa Cruz this year, “That’s the start of proper VR”. 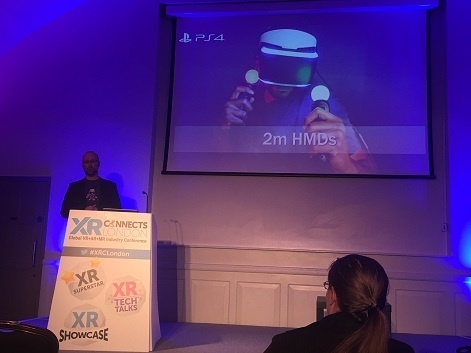 11) Day Two opened with a fascinating talk by Nick Rooke, Director of Developer Relations at Sony Interactive Entertainment Europe who revealed that the company has sold 2m HMDs with an associated 12.2m software units; an attachment rate of six titles per headset. €400,000 to 500,000 is not an unreasonable budget to recoup. 12) The average playtime across all PS VR titles is 25 minutes, with the top 10 titles doubling that average user session duration. 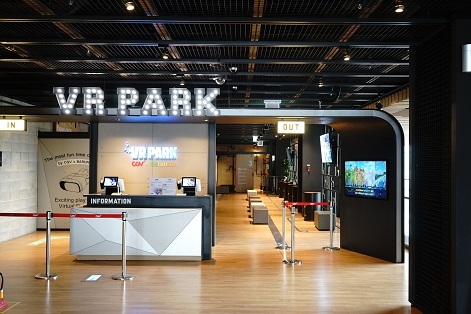 13) With 150 titles already released on PS VR Rooke said, “The quality bar is rapidly rising now we’re in wave two of the portfolio and we’re already thinking about wave three with developers that will be coming in 2019”. 14) In today’s marketplace, the director suggested that for PS VR developers, “€400,000 to 500,000 is not an unreasonable budget to recoup”. 15) With the shooter, action and horror genres already popular, Rooke named three under-represented genres on PS VR they are looking for the next wave of content: strategy, fighting and simulation. He pointed out that these types of games represent an area of opportunity with fewer concepts coming down the pipe. Day two saw an excellent panel conversation about the state of the industry today and what’s next for the medium. The [VR] market is real now. If you can’t make money, there’s a problem. 17) “The [VR] market is real now. If you can’t make money, there’s a problem”. So says Psytec Games’ Jon Hibbins. 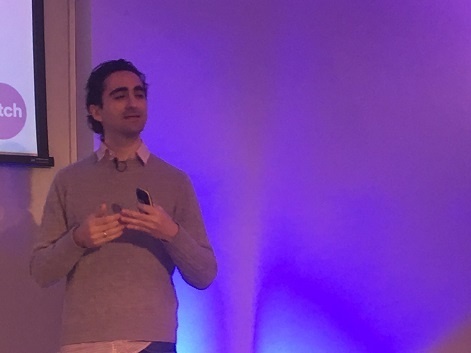 18) Resolution Games’ Tommy Palm described high end VR as, “Appointment gaming competing with consoles and watching the TV, whereas mobile is a different challenge”. 19) XR may be a young medium, but there’s already a bewildering selection of hardware for consumers. UNIT9’s Anrick Bregman said that, “As both a creator and a consumer, from both ends of the pipeline, you have to choose out of way too many options”. His concern is that while developers have to choose one to optimise for, consumers have to choose which to invest in. 20) Hibbins made the case for content first saying, “It doesn’t matter which headset you buy, there’s going to be some great content for it”. Palm was less bullish as he made the observation that, “You see cheap headsets in the mall and there’s no content for it other than 360 video. People buy it as a gift and people try it and the experience is terrible. That’s a problem for adoption”. Back to Hibbins; “I don’t think hardware is an excuse any more; the hardware is acceptable now. The issue is content; we need to grow as fast as we can if we want to accelerate. People are prepared to buy something if it offers value”. He likened the choice of VR hardware to the competition between PlayStation and Xbox in the console space, with consumers swayed by content exclusives and which format their friends use. “The problem is fulfilling enough of the user cases to convince consumers to buy it. It’s a content problem right now”. We’re still years away from getting the technology right. 21) 2018 is the year that the first standalone headsets such as Vive Focus and Oculus Go will be released, making VR more convenient than ever. As Palm said, “I love Rift, but it takes a lot of tweaking”. Hibbins considered that, “Oculus Go is perfectly priced and it will make a huge impact for people who want to just watch telly and Netflix in their bedroom, or play games. That will be transformative”. But will 2018 be the year that we see standalone headsets on a lot of coffee tables? Hibbins isn’t convinced; “We’re years away from that and that’s OK”. He went on to explain that, “We’re still years away from getting the technology right. It’s a hell of a lot better than it was with DK1. We’re only on revision one of the hardware and the next two years will show the next hands from the manufacturers”. He anticipates improvements such as foveated rendering, increased resolution, and eye tracking. 22) Hibbins shared that, “My best experiences in VR have been social. I’m not talking about VRChat, which can be silly- [I’m talking about] serious meeting holding or playing games. What hasn’t been created is the serious Oasis VR metaspace”. 23) Speaking about charging for XR content, Becky Jones explained the concept of the whale saying, “One person will pay a lot for an experience, some people will pay a little and the rest will pay nothing, but they’re providing content/value for the whale”. Hibbins said, “Get 10,000 favourites on Steam before launch”. Bregman advises studios to, “Think what happens to your content after you launch it”. Jones’ tips for XR start-ups are that they should start by finding funding networks, but they should also “Find friends you can reach out to, because it can be very lonely”. Palm’s suggestion focused on the development process saying, “Be very agile. Get something you can play yourself in an early phase”.